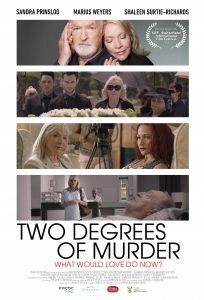 Inverse Films developed feature film Twee Grade van Moord (Two Degrees of Murder) from script stage in September 2011; commenced filming in November 2014; and completed the film for release in South Africa on 22 July 2016. 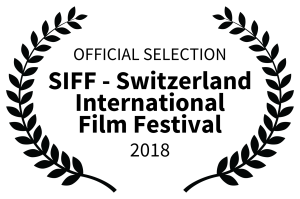 The award winning film was directed by Gerrit Schoonhoven and produced by Inverse Film’s Barry Strick. Two women, two murders. One homicide reflects the ultimate act of self-centredness, the other the greatest selfless act of them all. Aleksa Cloete, well-known Cape Town psychologist, and her patient, Tanya Basson are about to discover the difference – irrespective of the law. Aleksa Cloete (Sandra Prinsloo), a well-known Cape Town psychologist, has authored a bestseller entitled Love Doesn’t Hurt, but in spite of her long and happy marriage to a devoted husband (Ben, played by Marius Weyers), she has an entirely intellectual concept of love. Their only child (Christiaan, played by Roelof Storm) was forced, while growing up, to find much needed nurturing from his ‘second mother’, their faithful housekeeper (Fy Abrahams, played by Shaleen Surtie-Richards). As result Christiaan tends to be openly antagonistic towards Aleksa at times. Notwithstanding Aleksa’s personal shortcomings, a reality-style documentary is being made about her breakthrough therapeutic work with women who tend to confuse pain with love, and one of her patients, Tanya Basson (Hilda Cronje), has agreed to be the case study in the documentary. Tanya is currently in a relationship with a would-be gospel music star and a hypocrite who uses his ‘reborn’ status to excuse abusive behaviour towards her. One Friday night, after Ben and Aleksa spend a happy evening together, Ben suddenly suffers a heart attack. He survives, but for Ben the result is worse than death – he is permanently paralysed from the neck down. Aleksa begins to scale down her responsibilities in order to care for Ben, and is deaf to Ben’s plea that she go on with her public life. Then Tanya arrives at Aleksa’s home with the news that she has killed her boyfriend during a heated row. Tanya is charged with murder and she begins the arduous legal process. Aleksa realises that she has misjudged the severity of Tanya’s emotional state. Meanwhile, Ben has reached a decision and needs help to end his life. Sandra Prinsloo and Marius Weyers are both extremely accomplished and highly respected performers and are household names in South Africa. They have appeared in only four films together, including the world famous The Gods Must Be Crazy (1981), and last appeared in a film together in 1989, making Twee Grade van Moord a long overdue cinematic reunion for them and a marking a milestone in South Africa’s cinema history.